Create beautiful scarves made in super lightweight merino wool and silk. 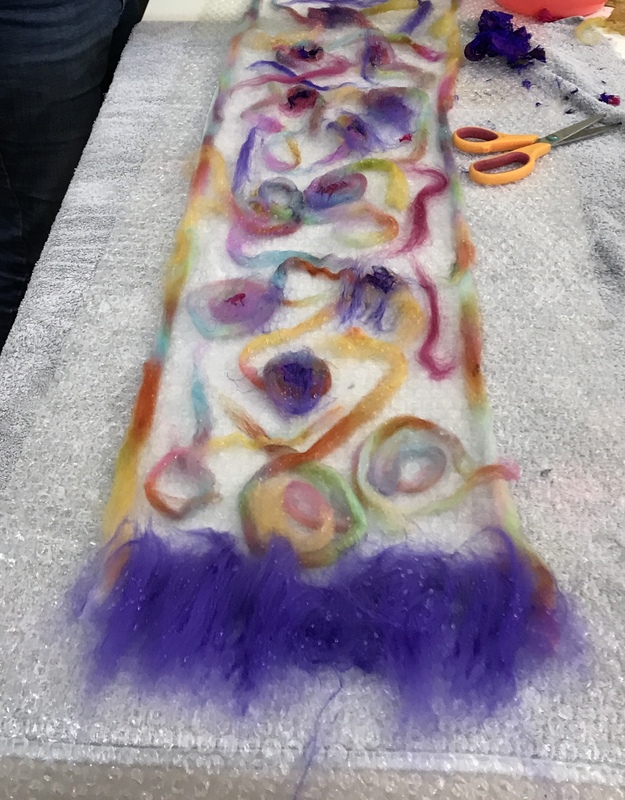 An exciting course in which you will make gorgeous colourful cobweb felt scarves and stunning Nuno felt scarves. Nuno felt is when wool is felted through an open mesh fabric. You can add other fibres and fabric such as silk and lace, or even felt in some lovely little seed pearls. Perfect as presents or as a stylish addition to your wardrobe.